Where do you wish to take ShopClues.com in the next five years? What is your vision for the company? 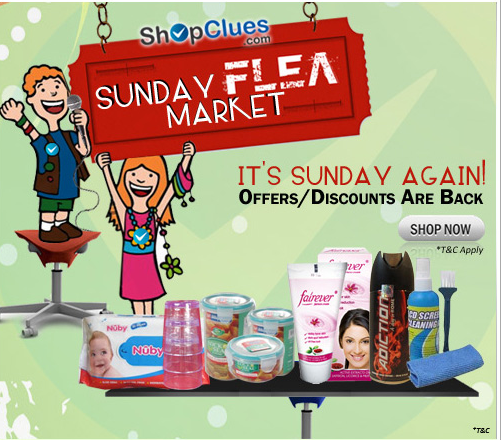 ShopClues is a technology company that happens to be in the business of retail. So, our vision was to create a robust technology platform that allows buyers and sellers to transact seamlessly. India is a country where 70% of the working population is involved in trade of some form or the other. And we pursue a goal to empower a sizable chunk of this trade community to do business online. Today, we have over 65,000 merchants registered on our site and this large number translates into very wide selection of products being listed on ShopClues.com. Our large catalog and best-possible prices attract customers who come looking for variety and value-for-money deals. How do you deal with competition both internal and external – like consumer loyalty, sustaining a team, hiring right, emergence of new players in the market and other external factors? Fortunately, we operate in a very wide space – eCommerce in India is still in the nascent stages and the country has a very wide consumer base. So, we’re far from a zero-sum game and there’s room for several players to co-exist in this market. This doesn’t mean there’s no competition in the market….but our belief is that by having a clearly differentiated offering, we can gain significant market-share. What is your take on the inventory-led v/s marketplace model? We pioneered the marketplace model in India and it has proven its merit in this market because it’s a win-win for buyers and sellers. Buyers get to enjoy unlimited selection of products and very competitive pricing. And sellers – big and small – reach out to customers across India with minimum investments. Merchandising is our forte, and our innovative campaigns brings remarkable efficiencies to our marketing. Ecommerce sites are often criticized for being deal-peddlers, but ShopClues has successfully created several marketing properties that bring good business to our site, as well tremendous recall-value for the ShopClues brand. Our properties like the Sunday Flea Market, Jaw Dropping Deal, Monthly Mania Sale, etc have their own loyal customer following, and go beyond just being customer-acquisition tools to serve as retention mechanisms for our site. We are a fast-growth company in a very fast-paced industry – and matching this pace isn’t everyone’s cup of tea. Since most enterprises in this space are startups, the workforce has to be very agile and people often need to create their own techniques and processes. ShopClues offers a flexible work environment where each person has the freedom to choose the 4Ts – Task, Team, Time and Technique. How do you handle consumer complaints and bad word of mouth? With our customers, we share a relationship based on trust. Our in-house customer support team handles complaints while a separate team manages the ORM piece. Both teams are empowered to enable speedy resolution to customer grievances. What would be your piece of advice for new players entering the e-commerce sector in India? These are exciting times for eCommerce in India, and the right passion and energy can help you build an enduring business. Tell us more about your personal journey. How had been your life prior to founding ShopClues.com? Did you always want to be an entrepreneur? I’m a free-thinker and have always had the entrepreneurial spirit. Fortunately, my career prior to founding ShopClues gave me exposure to business best-practices within world-class organizations like Ebay. My experience taught me the need for having a crystal clear vision and a sound strategy in order to build a scalable business. Sanjay is widely recognized as a marketplace ‘guru’ and a product visionary with expertise in building complex ecosystems for ecommerce. As Co-founder of ShopClues, he is committed to delivering a truly enjoyable shopping experience for customers on this state-of-the-art online platform. Sanjay has enjoyed a successful career of over 20 years in Internet product development that includes eCommerce marketplaces, online payments, operations and trade logistics. His experience and intellect are invaluable in his role as CEO, especially at this juncture when ShopClues is poised to sprint alongside the top 5 eCommerce players in India. 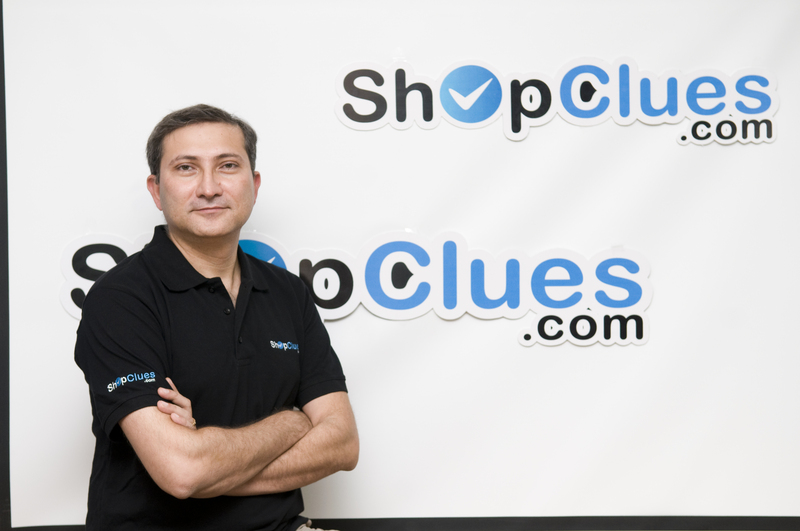 Prior to assuming the company’s leadership, Sanjay was Vice President – Products and was responsible for providing the products and processes needed to create and run an efficient marketplace at ShopClues.com. His understands technology just as well as the business of retail and his exceptional insight on marketplace dynamics has made ShopClues the preferred destination for online shopping in a short span of two years. Sanjay has been the Global Product Head for Shipping & Logistics, Payments & Billing for eBay, at its headquarter in the Silicon Valley. Prior to eBay, some of companies he worked with were TradeBeam, a global trade management startup based in San Francisco and Great America Insurance in Cincinnati. Before moving to US, Sanjay worked for 5 years in India with HCL Perot Systems, IIS Infotech and Steel Authority of India Ltd. He is a graduate in technology from Indian Institute of Technology (Delhi) and Indian Institute of Technology – Banaras Hindu University. He is a voracious listener of audiobooks and is a student of astrophysics in his free time.